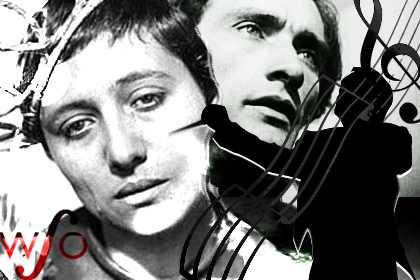 WSO: Dreyer's Joan of Arc & the HRG Mar. 28th! Maestro Franz, Windsor International Film Festival Director Vincent Georgie and Professor of Theatre Erica Stevens Abbitt invite WSO ticketholders to join them for a free pre-show discussion about the power and significance of Dreyer’s 1928 film on the life and death of Joan – martyr, rebel, victim and saint. Maestro Franz will speak briefly about Einhorn’s extraordinary project to create a contemporary soundscape to match Dreyer’s silent classic. Vincent Georgie will discuss the history of this controversial film and the challenge of creating music to match its vision, and Dr. Stevens Abbitt will talk about the contribution of theatre pioneer (and iconoclast) Antonin Artaud to Dreyer’s masterpiece. The lecture starts at 6:00pm and is free, no tickets are required. However, those who wish to attend concert which follows at 8:00 pm must purchase the tickets. When Charles Dreyer’s film, La Passion de Jeanne d’Arc was discovered in the 1980s after being lost for a half century, the world was re-introduced to one of the most moving pieces of film ever created. Composer Richard Einhorn was so inspired that he created a cantata for chorus, soloists and orchestra to be performed simultaneously with this silent wonder. The Windsor Symphony Orchestra event will feature the completely new score by Richard Einhorn, and takes place Saturday, March 28th, at 8:00pm at Windsor's Capitol Theatre. The Passion of Joan of Arc is a French silent film from 1928 based on the actual record for the trial of Joan of Arc. The Director (Dreyer) was invited by the Societe Generale des Films in France to make a film about Joan of Arc due to her renewed popularity in France. The original film was seen as quite controversial and was heavily edited before release. The original version of the film was considered lost, until 1981 when a version of Dreyer's final cut was discovered at a mental institution in Oslo, Norway. The film is heralded as a landmark of early cinema and stars Renee Jeanne Falconetti as Joan. Also amongst the cast is a pioneer of theatre, Antonin Artaud. Artaud is considered among the most influential figures associated with the evolution of modern drama theory and is known for his "theatre of Cruelty" which was meant to challenge and shock the audience into confronting the base elements of life.